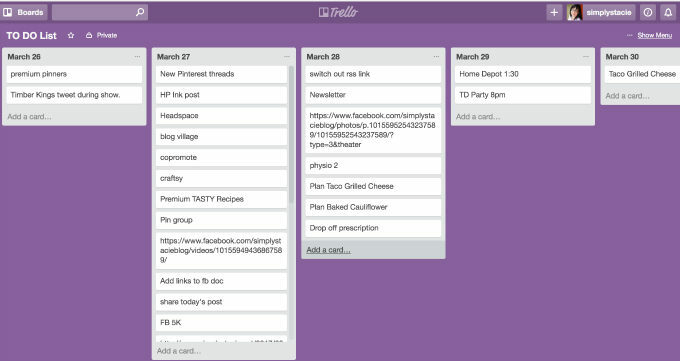 I don’t remember how I first found out about Trello, but I’m so glad I did. It has seriously changed my life. 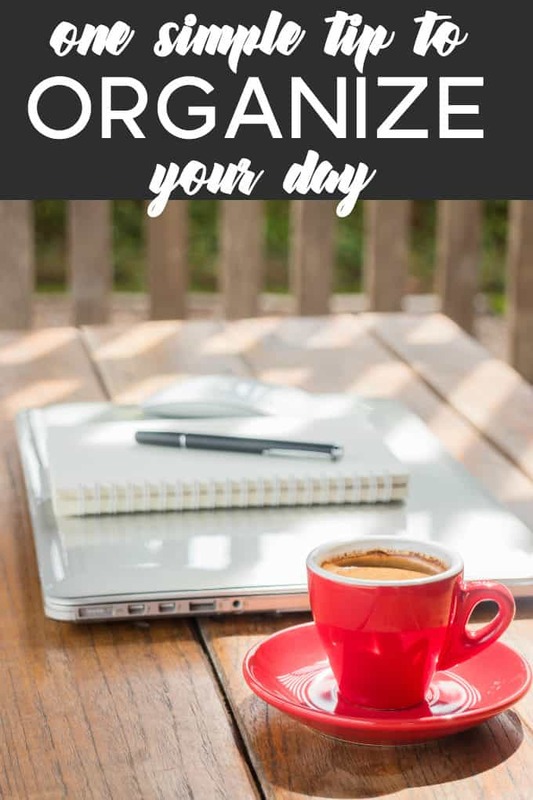 This one simple tip will help you organize your day. I thrive on organization and it keeps me sane especially when I have a million things coming at me all at once. Between the kids, running a house and managing a blog, I need a tool that keeps me on track. Trello is the one thing that keeps me going and focused. People ask how do you remember to do it all? It’s not my memory. I’d be a mess if I relied just on that. It’s Trello. Trello is a tool to help you manage projects and tasks. It can be used in many different ways. The way I use it is to create daily to-do lists. I create a board for each day and then I add cards for each item that needs to be completed. When I’m finished the task, I either archive the card or drag and drop to the next day the task needs to be done. My to-do list starts out LONG, but by the end of the day as I’ve dragged away cards or deleted them altogether, it clears out. It’s similar to checking items off a list with paper and pen, yet all digital. I can also access Trello via the app on my phone. My to-do list is always with me. Thanks to Trello, I don’t miss important deadlines or forget appointments. I always know what is coming up and when. It keeps me on track with my blog and my commitments. Best of all, Trello is free to use. I know I’ve only scratched the surface with how I could use Trello. You can use it to plan projects creating a board to keep track of each one. You could use it for your blog’s Editorial Calendar, too. If you feel stressed and need focus and organization, try using Trello to manage your daily to-do lists. This post is not paid for by anyone. I just really love the program and hope it will help you as much as it has me. I’ll have to check this out!! Oh this looks cool ! I am someone that depends on my to do lists ! My worst is making the list and then I lose it ! I have started leaving myself note on the computer , but its not very efficient for me , so I have been wondering what to try next ! I will check this out ! I have goals for each day and keep a list. I follow my calendar and then often make a list for specific jobs. I still use a day planner to organize my time, haven’t found the right electronic planner to use. I will check this one out to see what I think. and it’s all in one place!